Click below to see an original poem inspired by this pendant. This poem, lettered by hand in Calligraphy, is included free with every Footprints pendant. See it here! 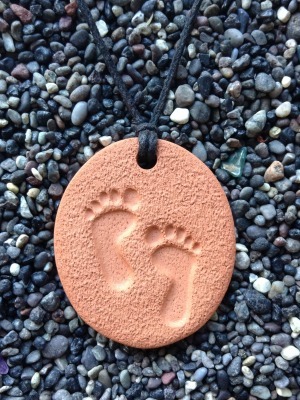 The Footprints Pendant measures 3.25 cm by 3.75 cm (1 ¼ by 1 ½ in).